I remember flipping through the channels. Sportscenter was showing the trailer for “Gleason,” the story of former New Orleans Saints, special teams kamikaze, Steve Gleason. It was about how this tenacious, physical athlete responded to a diagnosis of ALS. It was about the birth of his son, less than a year after that diagnosis. It was about his family’s fight for hope in a hopeless situation. I teared up. From a trailer. Watch it for yourself. So when I got the opportunity to host a “Gleason” Q&A with producer Kevin Lake for a VIP screening at Regal Kapolei Commons 12, I jumped at the chance. Lake grew up in Marin County in Northern California. He was head of film development at Mel Gibson’s Icon Productions, working on “We Were Soldiers,” “The Passion,” “Apocalypto,” and more. 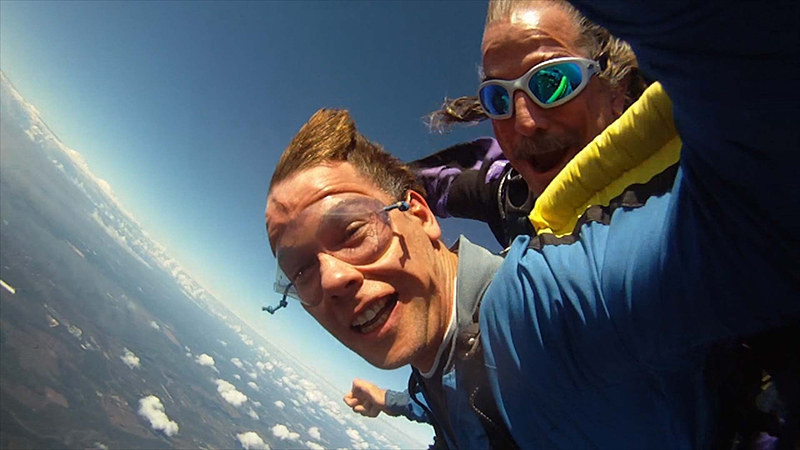 Today, he’s making movies and telling stories in new media as President of Wired2Engage. I just hoped I wasn’t going to well-up in the middle of asking him questions. 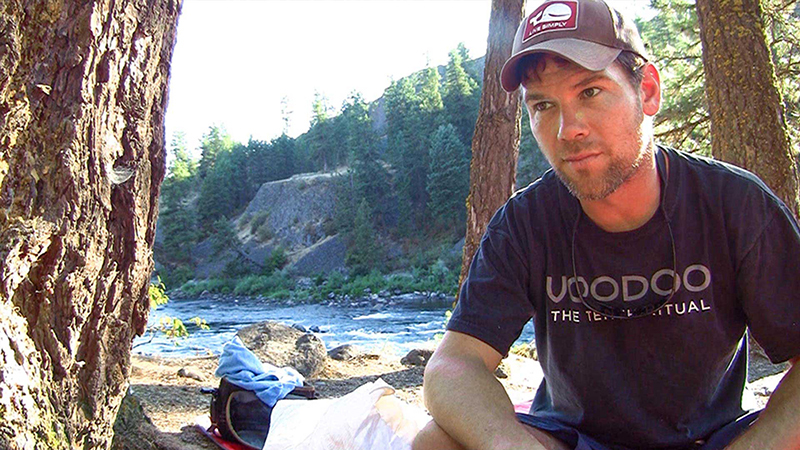 “Gleason” won the audience award at this year’s SXSW Film Festival and is earning unanimous critical praise. The film is the antithesis of the CGI and spandex of the summer. It’s real and raw, full of pure joy and unbearable pain, just like life. 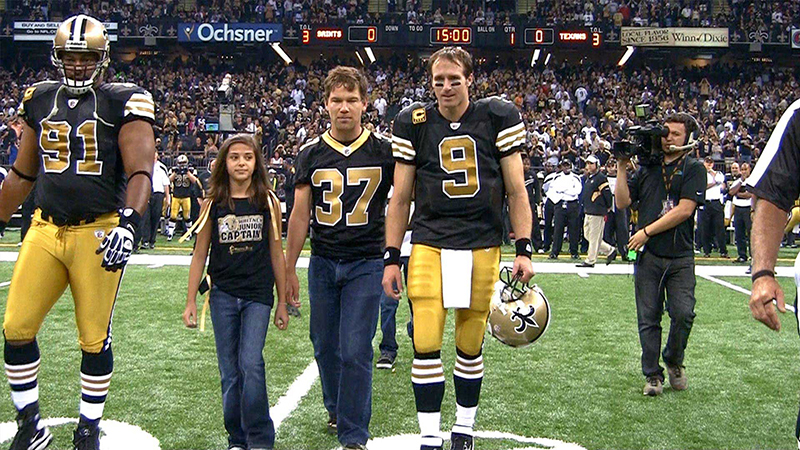 As a parent, husband and son, it made me wonder what I would do if I were in Steve Gleason’s shoes. I’ve never teared up that much in a movie, and I’ve seen a lot of movies. How many times did you cry watching this film? I’ve cried every single time I’ve watched it, which is bizarre because I’ve seen it a lot. It always hits something different in me. How did you get involved in “Gleason”? I had a friend who had ALS and I went through the whole process with him. So I was already sensitized to the experience and the storytelling possibility in it. Kimi Culp, one of the producers on the film, was very close friends to Michel and Steve Gleason. We sat down one night and she showed me some of the footage that was shot by these two young filmmakers, David Lee and Ti Minton-Small. It was so moving. But they had all this footage over the course of four years and didn’t have a plan with what they were going to do with it. 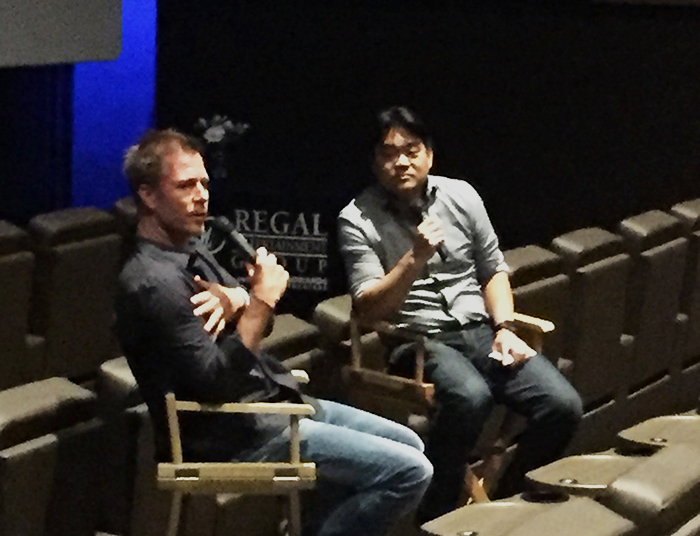 So Kimi, myself, Scott Fujita, and a group of others put together a team to figure out how we were going to make the film. Steve didn’t intend on making a movie? When Steve was shooting all those video diaries, his real intention was to make them for his son. He wasn’t going into it with the idea of making a feature film. So part of the challenge was to find the story – the narrative through-line of the film itself. What part of the story affected you the most? When we first started going through the footage and I met with Steve, what struck me is his story is all of our stories, even though we don’t necessarily realize it. It’s just compressed into a really small time frame. Every time I would look at the footage, it would touch a different part of me. It’s a very relatable story for all of us because we all deal with parenting issues, issues of loss, and our own mortality. 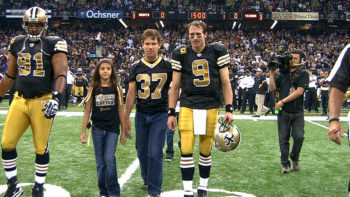 Because Gleason was such a fierce, physical football player, the ALS diagnosis seemed especially cruel. ALS is just a really unusual disease because your body shuts down but your mind is completely lucid within that experience. So it becomes a spiritual journey out of necessity and that was an interesting idea to explore. The challenge was really in Clay Tweel’s (director/editor) hands, of going through the footage and figuring out exactly how he wanted to tell the story. Basically what he inherited was 1300 hours of footage, which was a lot to digest. There were a lot of different types of stories that could’ve been told. He rightfully put the emphasis on telling an inter-generational father-son story and a love story. He did a phenomenal job. What was it like meeting Steve? When we went to Steve’s house we saw the amount of sacrifice it takes. It reminded me of my experience with my friend, who I was really close to, who went through ALS and passed away in 2008. At the time, Steve was just trying to figure out how to be the best possible father to his son like the rest of us – I have an eight-year old and a six-year old – except he’s trying to do it from a wheelchair communicating through retinal eye-tracking technology. It’s an incredible situation to be in. What was it like to premiere it at the Sundance Film Festival for the first time? It was really satisfying. Just to see how much it touched people in different ways. The response was overwhelming. At a Q&A a woman stood up and said, “I’m a child psychologist and I think every parent should see this as a template to address parenting…” And for people who have some sort of history of care-giving, it was really moving to see how Michel was acknowledged and validated for what she did. What was Michel’s reaction to the film? It’s hard to put yourself out there publicly like they have, particularly when it wasn’t their intention, especially Michel’s intention. I think there was some reticence, but now it’s been really satisfying because she’s seen the impact it has on people. Has Rivers, Steve’s son, seen any of this yet? I don’t think so. But as he gets older and wants to learn about his father, not only does he have the hour and fifty-minute feature film, but another 1,000 hours to dive into. What are the challenges of this small, very human documentary being released amongst all these million-dollar tent poles? It’s really difficult. The sale of this film at Sundance was one of the biggest documentary sales ever. But there’s so much content out there and it’s hard to get people to pay attention and find an audience. But it was really important that the film get distributed theatrically. We felt that it was a communal experience for people – like it was important to see it with other people to share the experience. Give beginning filmmakers and storytellers one piece of advice. I know a lot of people are drawn to the flame of Hollywood, but I think there are so many opportunities for creative storytelling on different platforms, particularly in the digital world. There are different ways to exercise your filmmaking ability then the traditional one. Open yourself up to that. 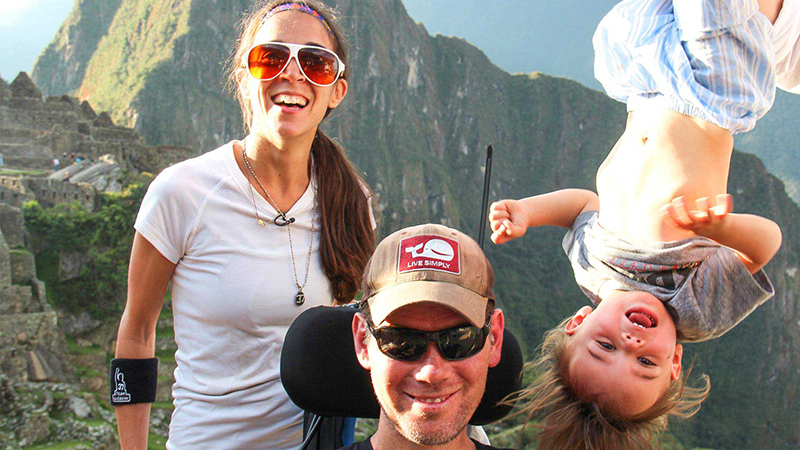 “Gleason” is playing at select theaters and will be available on Amazon Prime.